The photographer has rapidly cashed in on the novelty of this new service to Earlsdon readers as he can guarantee sales of the postcard to local residents who would like to add this view to their collection. Others would want to send it to their friends and family boasting of the luxury of having a library on their doorstep. They would no longer have to travel all the way to the John Gulson Library by the Cathedral. Earlsdon was not the first branch library in Coventry, that privilege belonged to Foleshill in 1901. 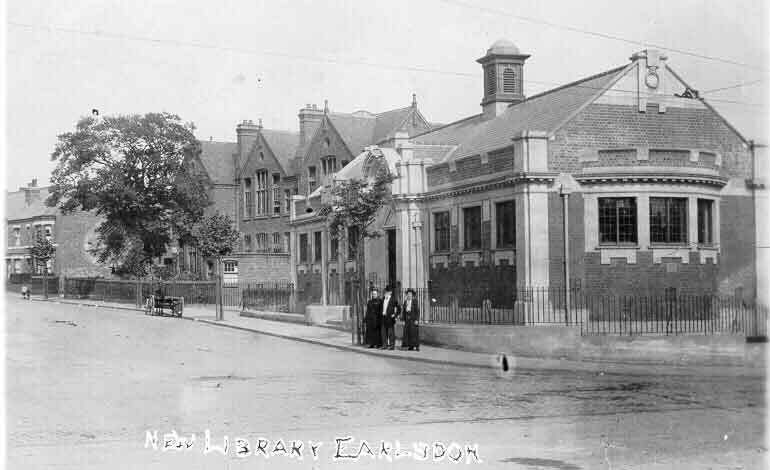 But in 1912 Earlsdon, like Foleshill and Stoke, got a new library courtesy of the Carnegie Foundation set up by Andrew Carnegie a Scottish-American who made his money as a steel magnate. His massive wealth paid for many such facilities up and down the country. The branch libraries were able to benefit from the new regime recently brought in by the chief librarian allowing open access to the books for the first time! The atmosphere within was still dictated by the tyranny of silence.